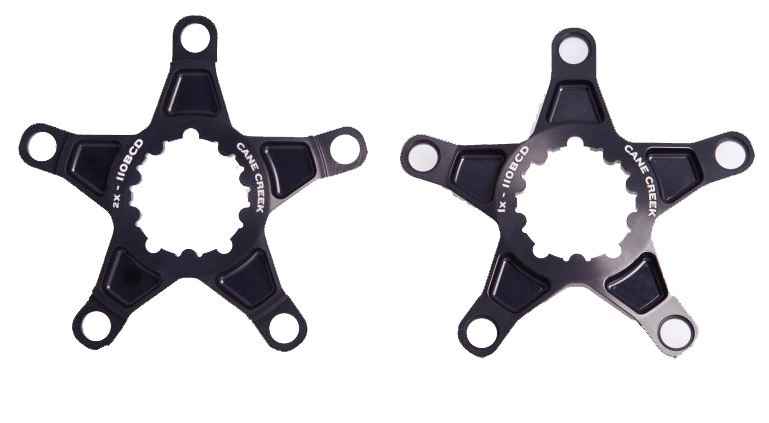 Cane Creek has released two 110 BCD spiders for their eeWings crankset. The spider comes in two different configurations compatible with either 1x or 2x drivetrains. Putting 110 BCD 1x tabs on your crankset allows you to run chainrings that are larger than typical direct mount spider chainrings. Running a 2x setup on your crankset allows you to run a much wider gear range. Cane Creek wants the eeWings cranks to outperform on anything from enduro bikes to road bikes. The 110 BCD spiders add more versatile to an already incredible product.